Contrary to recent trends in export recorded by Amaplast, the Italian trade association for rubber and plastics machinery, Rodolfo Comerio registered an increase in the export of its products in both the rubber and the plastics field at the end of 2019, accounting for +3% of the total sales volume recorded last year in the same period. Even though 2018 started a bit slow for the Italian company, which manufactures calendering lines, there was a surge at the end of the year. Expectations for 2019 are optimistic, especially with the launch of several new products. In particular, the company’s calendering lines for the production of passenger car, bus and truck tires have been developed to incorporate new technologies and automatic systems. 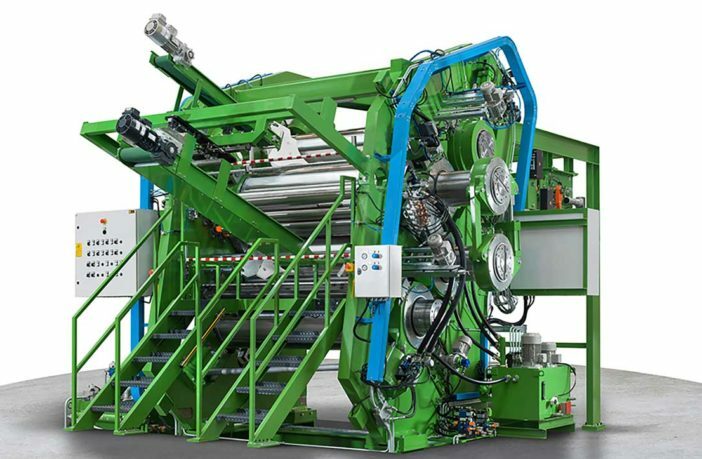 At Tire Technology Expo 2019 in March, Rodolfo Comerio will present a new open mill with Ø 810 x 2,700mm rolls for rubber mixing rooms and calender feeding. Advantages of the new mill are its affordability; easier maintenance and smaller size thanks to a simple structure that means rolls can be removed from the top; amplified lamination pressure; protection fairing on all important parts of the machine, including the stock-guide lifting system; a 10mm/s safety opening speed; a 60mm maximum roll opening; fully hydraulic shifting of the rolls; and high-efficiency motors or hydraulic motors. Find out more from Rodolfo Comerio at Tire Technology Expo 2019, held March 5, 6, 7 at the Deutsche Messe, Hannover, Germany, at Hall 21 booth 7048.